THE Papua New Guinea Masters Swim team made history this month by competing for the first time at the 17th FINA World Masters Swimming Championships held in Budapest, Hungary from the 14th to the 20th August 2017. Our two swimmers Ryan Pini and Ashley Seeto who competed at the Championships contested in 5 and 4 events respectively. 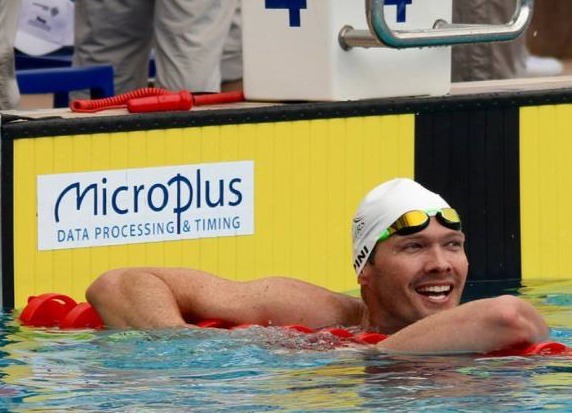 What has been labelled as the biggest and best FINA World Masters Swimming Championships held, the event attracted 6524 swimmers from 25 years up to 99 years old. Both Pini and Seeto’s performances during the 7 day event put PNG in the spotlight and making family, friends and the country proud of their performances. In his two main events, Seeto, who competed in the 30-34 years category, placed 6th in the 50m Breaststroke with a Personal Best time and 7th in the 100m Breaststroke. Pini showed what a true champion he is. From his 5 events, Pini won Gold in the 50m Backstroke and 100m Backstroke, Silver in the 50m Butterfly and 100m Freestyle and placed 5th in the 100m Butterfly. In his two Gold medal performances, he also broke the Championship Record and World Record in both events for his respective age group 35-39 years. The next FINA World Masters Swimming Championships will be held in 2 years’ time in Gwangu Korea, and hope to see a larger team from PNG compete.